Kegbot: Monitor beer keg volume & control tap access. The ultimate upgrade for your kegerator. 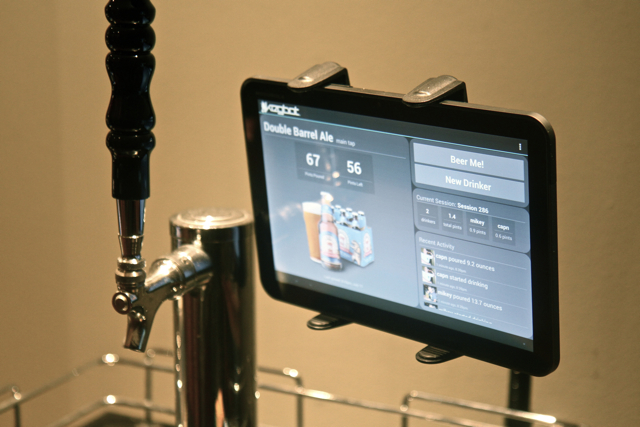 Kegbot™ tracks and manages your beer taps. Kegbot monitors every pour, so you'll always know how much is left. Each drink gets stored in the Kegbot database. No more getting surprised by an empty keg! With a slick Android interface, the Kegbot tablet application is both the brains and the user interface of your kegerator. Kegbot can support several beer taps at once. 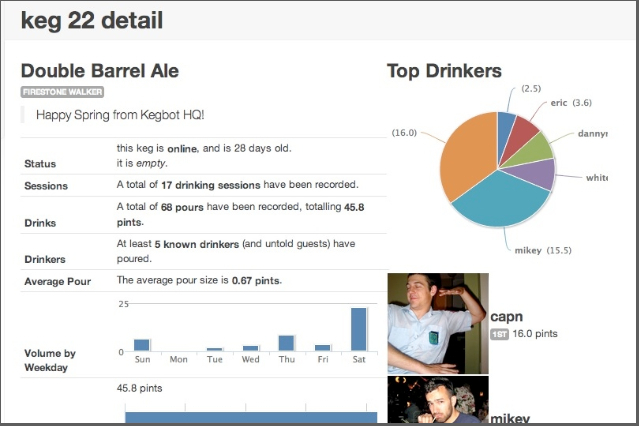 Check out current keg status, figure out who's drinking the most beer, drill down into previous drinking sessions, and look at system stats using the Kegbot web interface. Give your drinkers accounts on your kegerator, and let them take credit for pours by logging in. 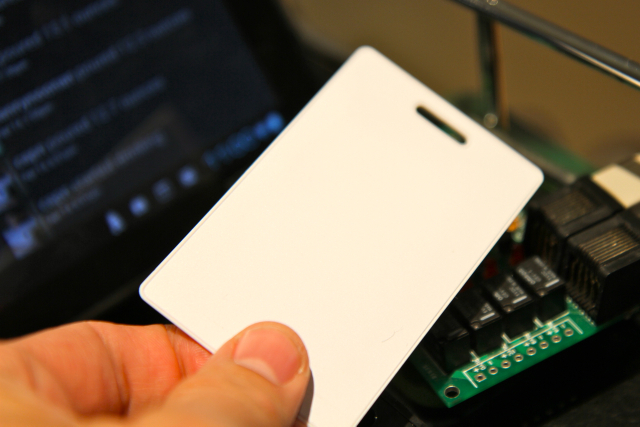 You can use NFC authentication on tablets with NFC compatibility. If you want it to, Kegbot will alert your friends that you're hitting the sauce. 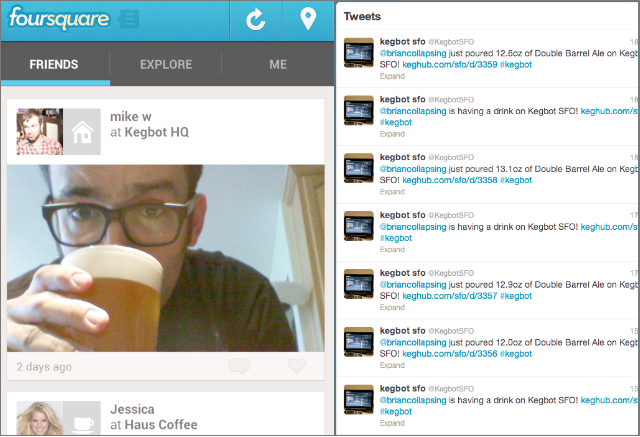 You can link your Twitter, Foursquare, and Untappd accounts, and extend it to do more with web hooks. Kegbot is an Open Source project made for beer geeks, by beer geeks. Got an idea or want to make Kegbot better? We're giving you the source code and hardware specs for free. Once you have a kegerator and the Android tablet, adding Kegbot costs about $129 per tap — about what you might spend on a keg of beer. What if I only care about volume? 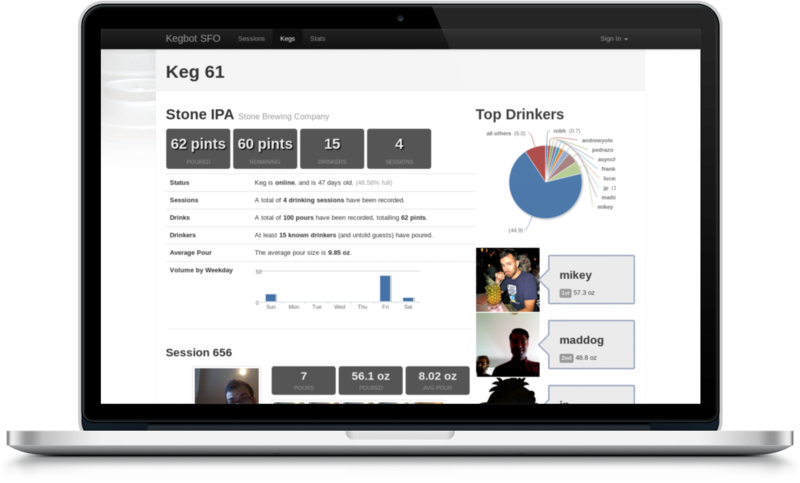 All Kegbot features are optional; the basic configuration just measures keg volume. You can activate more features (like user accounts) only if you want them. Yes! 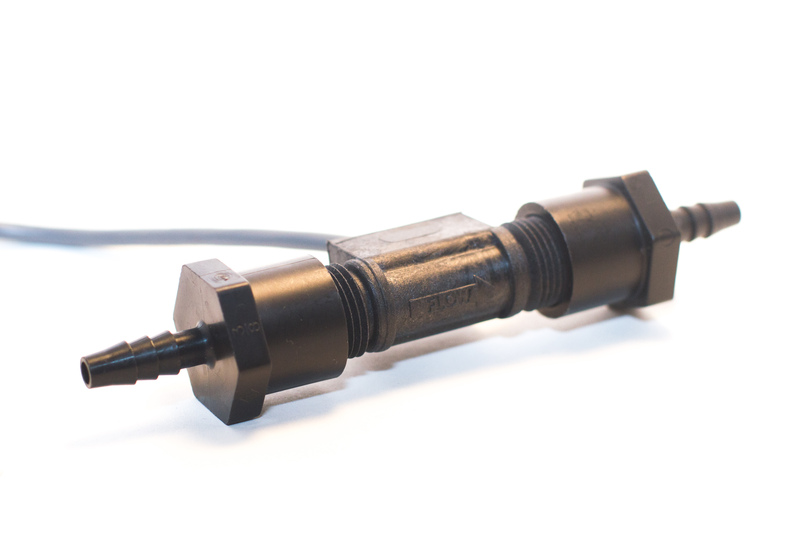 Properly installed, the Kegbot flow sensors have an accuracy within 1-2%. The Kegbot app includes an interactive calibration wizard. We started Kegbot in 2003, and we've been making it better ever since. We only activate it when we've got super exciting news. We absolutely do not share or spam, and you can leave any time.